Road cycling and stage racing have been intertwined since the beginning of bike racing, but in recent years mountain bike stage racing has emerged onto the scene. Mountain bike stage races share some similarities with road stage races but are uniquely geared to test every aspect of mountain biking. From long endurance stages to the technical downhill enduro stages, off-road stage racing requires not only great fitness but great technical skills. In this article we’ll explore a few training and preparation tips for these events and gather insights from one of the best pros and a few race directors. You might already be thinking of some obvious differences between mountain bike and road stage racing like riding terrain, but there are also other important factors like the lack of large pelotons. There is nowhere to hide in a mountain bike race, the pressure is always on you as an individual, and there are few opportunities to draft. You need to be prepared to go hard every single day of the race. Adding “race blocks” within a normal build period for your athletes is an example of how stage race training might differ from training for a single day race. Athletes need to be able to ride hard on tired legs to do well in a stage race, and the only way to train for that is to work hard on consecutive days. One tactic I like is to train hard for two to three days prior to a low priority race using the race as the last day of the race block and, at times, the build period. Training rides during race blocks should include long zone-three and zone-four efforts with short to moderate zone-five efforts added in the mix. Race blocks should mimic the race, so if there are stages consisting of shorter or longer days, copy that style during your block. Have your athletes complete these rides on the mountain bike and preferably off of the road to simulate the race. During these blocks, heart rate may be less accurate than power as a guide. Also, depending on fitness, neither heart rate nor power may be accurate after the first few days. So, for this reason, it’s important to have your athletes rely on perceived effort and plan to simply go hard each day analyzing heart-rate and power data only after the ride. With the number of stage races available, your athletes will have many to choose from depending on skill and fitness level. Races such as the BC Bike Race, a seven-day stage race that started in 2007, are great for athletes looking to have a great experience on the trail. The race is in an amazing destination regardless of whether athletes are looking to win a category or experience some of the best trail systems in the world day after day. 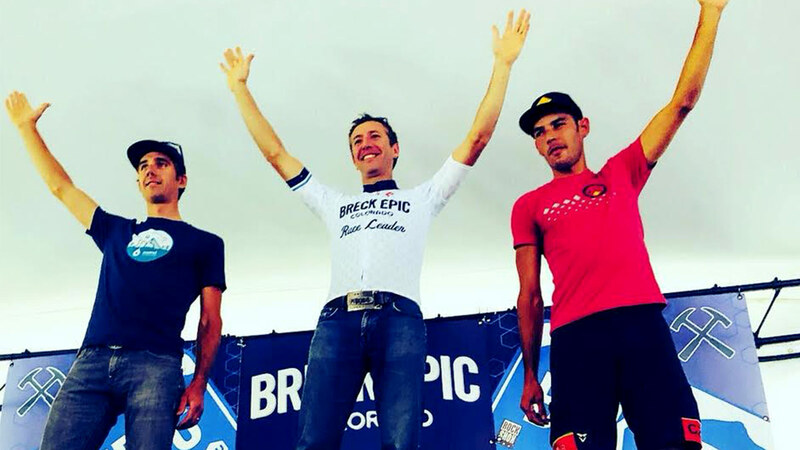 Andreas Hestler, co-owner of the BCBR, former Olympian, and professional mountain biker, explained what makes the race special. Sage Melley, owner of the Cactus Cup in Phoenix, AZ, an early-season, three-day stage race geared toward all levels of riders, explained that her event is a cross country-style event with terrain that makes for a great early-season and entry-level stage race. Preparation is everything, and that includes the race week itself. Days come and go very fast in a stage race. After each stage, there isn’t much time to think about anything except food, recovery, and your bike. Preparing a race plan ahead of time will afford your athletes extra time to recover both mentally and physically through race week. This is key as they need to wake up the next day as fresh as possible and ready to go. In any case, training for a stage race is more than just one simple build period or one race block of training. It’s a year-long effort to get to race day feeling confident and ready. Consistency in training for any event is the key, so register early for these events, use the event as motivation to train hard, and focus on consistency to reach race day in peak form.